It's time for some accessories. Big accessories that make a statement. 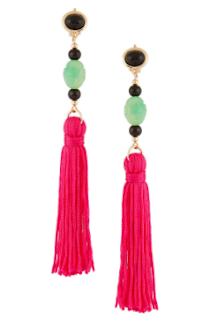 Today let's look at some big ol' tassel earrings. 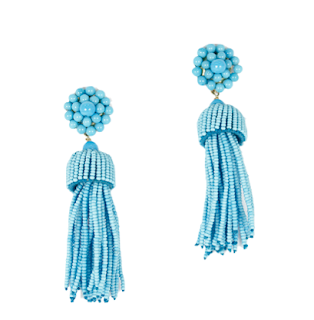 They're loud, bright, and so classic when paired with an LBD. If you haven't checked out Design Darling, you've been missing out. Blogger turned amazing online shop owner, this store is my go to for gifts. 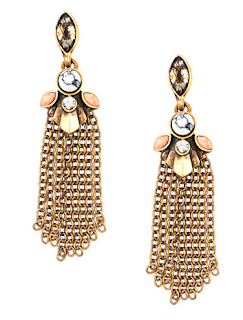 A very feminine earring, even with the gold chain mesh. How playful are these earrings? Perfect for white jeans and a cocktail. Hot pink, anyone? Heck yes. 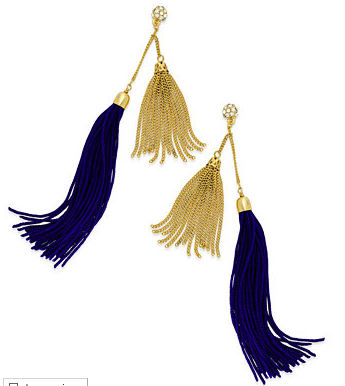 A sassy tassel earring is just what your Friday night outfit needs. Simple, playful, and so much fun to wear.